Dorothy Gale suddenly finds herself in the city of Munchkinland. She is in the land of magic, and surrounded by people who are not like her. But she is tired of all her adventure. She wants to go back home. Will she be able to go back home? And who is the Wizard of Oz? 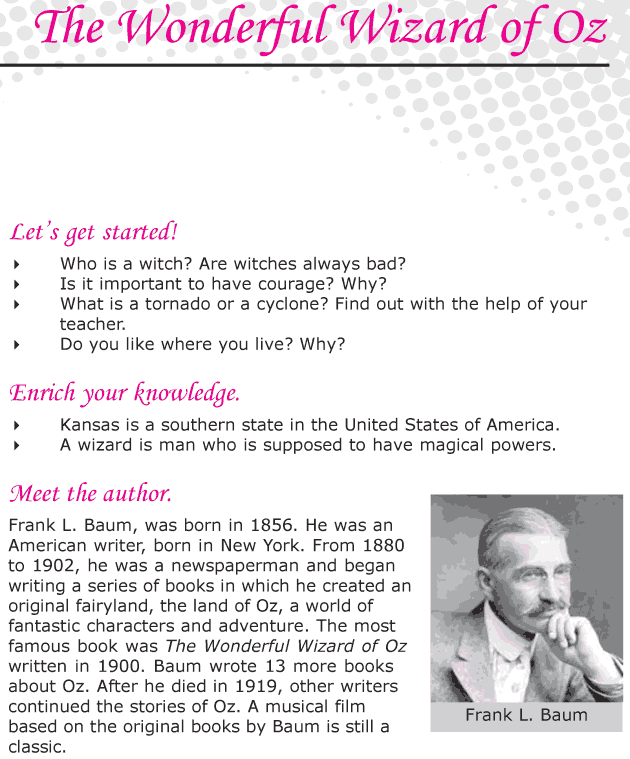 Read this story adapted from the novel ‘The Wonderful Wizard of Oz’, by Frank L. Baum to solve the mystery.